Home » Monster Hunter 3 Ultimate arrives tomorrow! Whelp. I was beginning to think it’ll arrive late. 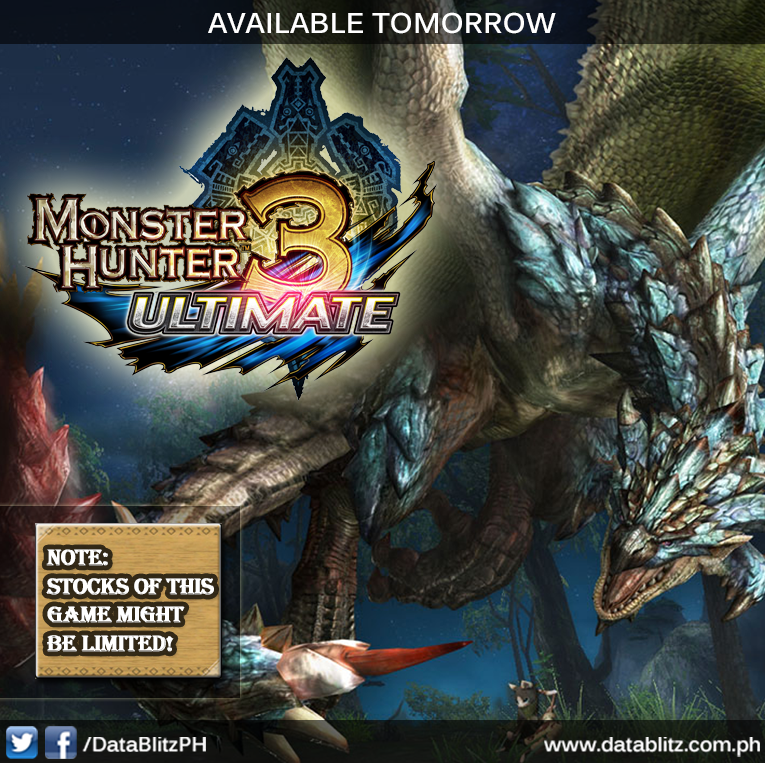 Monster Hunter 3 Ultimate for 3DS and Wii-U will be available at Datablitz tomorrow! *Due to limited initial stocks we are accepting a P500 reservation today for those who’d want to secure a copy of the game. For some reason, despite the numerous vocal fans of Monster Hunter, it seems Capcom prioritized supplies for Devil May Cry over Monster Hunter 3 Ultimate (no stock issue with the DMC release). Ah well. Better run to reserve your copies after seeing this post.